It’s an obsession of mine to work off an imaginary list of hotels that I wanted to stay since I am ten years old. 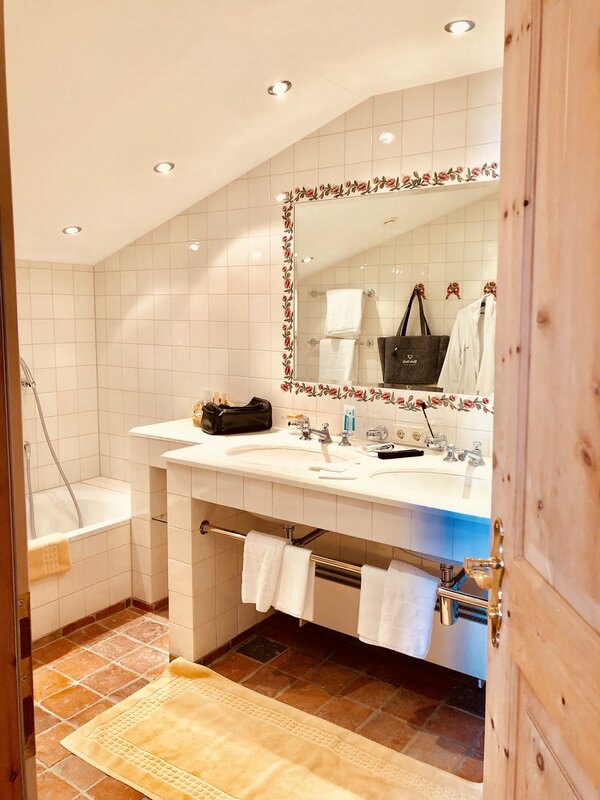 In fact, my passion to hotels started in the very early stage and I would lie if I would say that the nearby Arlberg region hasn’t been a magnet for the country’s most elaborated luxury hotels even back then in around 2003. Of course, the hotels were not as posh as they are now (thanks to international competition) but these hotels in the Arlberg region still have something that no other ski resort has yet. Having been to Courchevel and Megeve recently, I have to say they do their job pretty well and I was indeed impressed but being Austrian brings me always back home. 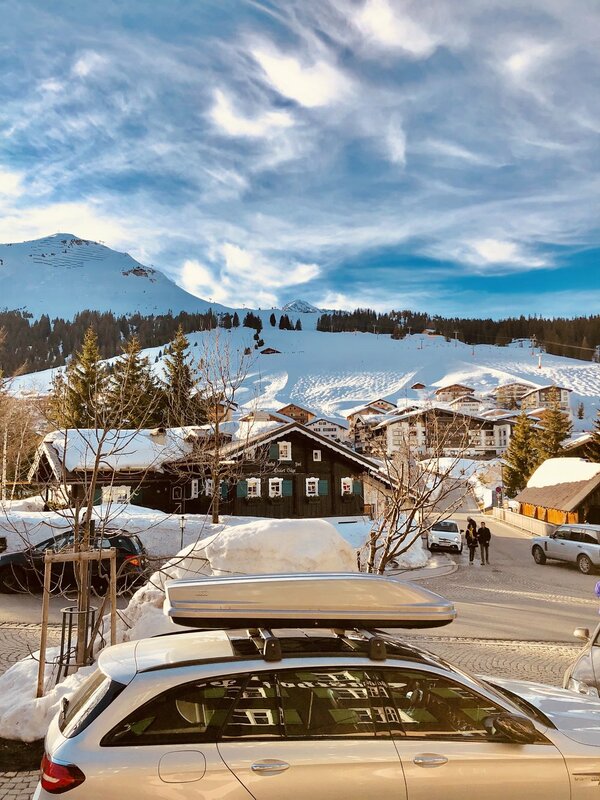 There is no place like home and even though Lech am Arlberg is an hour’s drive from what I call home, it is the Austrian hospitality that feels just different. I mean I wouldn’t go on a staycation in any Austrian ski resort (for example there are turn-offs such as party-heaven Sölden or still underdeveloped Pitztal) however Lech am Arlberg is the place I regularly go to enjoy what I call “Ski Holidays perfection”. I have heard the town itself has a reputable amount of gourmet restaurants considering the few regular inhabitants and needless to say that the hotel selection goes from easy bed & breakfasts to the most expensive ski hotel in the world. Since it was initially the weekend where Lukas and I were supposed to meet again, I was looking for a luxury hotel with an amazing spa, spacious rooms, and best case a gourmet restaurant so we could just sit and talk while being served outrageous food. With us currently being on the Relais & Chateaux trend (more and more Millenials are joining thanks to the individual spirit of the hoteliers and the focus on modern and high-quality food), I immediately came up with the idea to choose Hotel Post in the real heart of the town. The other choice was either Hotel Arlberg (where I was unsure about the spa), Kristiania (same reason as first) or Burg Vital Hotel. 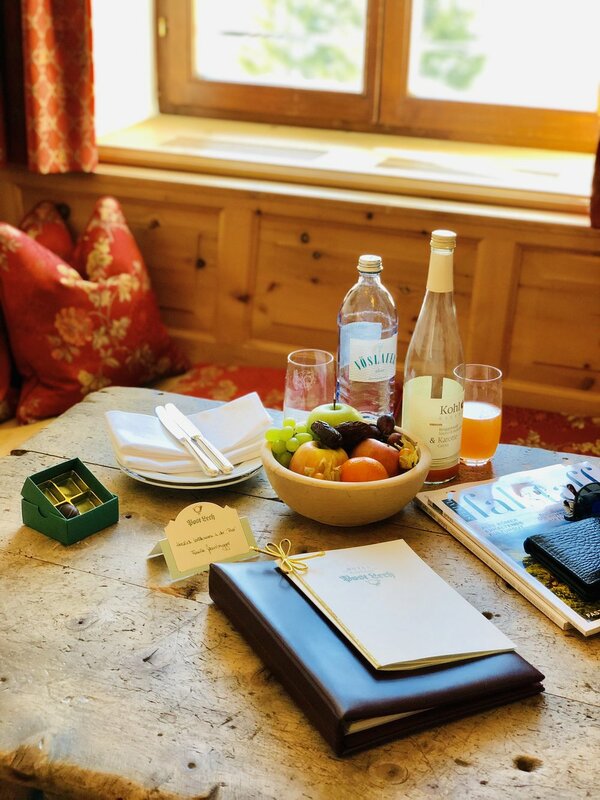 So Hotel Post because of the Relais & Chateaux Spirit, then of course because it is the hotel with the latest renovation (the Moosbrugger Family does incredible job – later more on that) as well as it’s the only five-star hotel in Lech having a photogenic outdoor pool. Fortunately, not only did the trip start in an incredible way, but the weather forecast was just unbelievable – with 10 degrees Celsius and 100% sun for Saturday and Sunday. I couldn’t believe when I was driving up on Flexenpass with the snow glazing underneath the reflecting deep blue sky. Minutes later I was driving into the small entryway of the Gasthof Post Lech, the town’s first place to stay according to the history of the building. Arriving at 5 pm was a challenge with many other arrivals at the same time – I guess they all were up for some pre-dinner spa sessions. While I was waiting for my colleague, I was waiting until the rush was over and then did the check-in very relaxed and was welcomed in a friendly way by a front desk attendant. Someone helped me with the luggage and I told him to also unpack the ski stuff as I was planning to ski tomorrow. Right after the check-in, I had the chance to meet Assistant Manager Matthew Miley. Just in time, Lukas arrived as well and we were shown the way to our room. Situated on the fourth floor, we were allocated a “Postillon Apartment” with approximately 45 square meters and a typical suite layout. 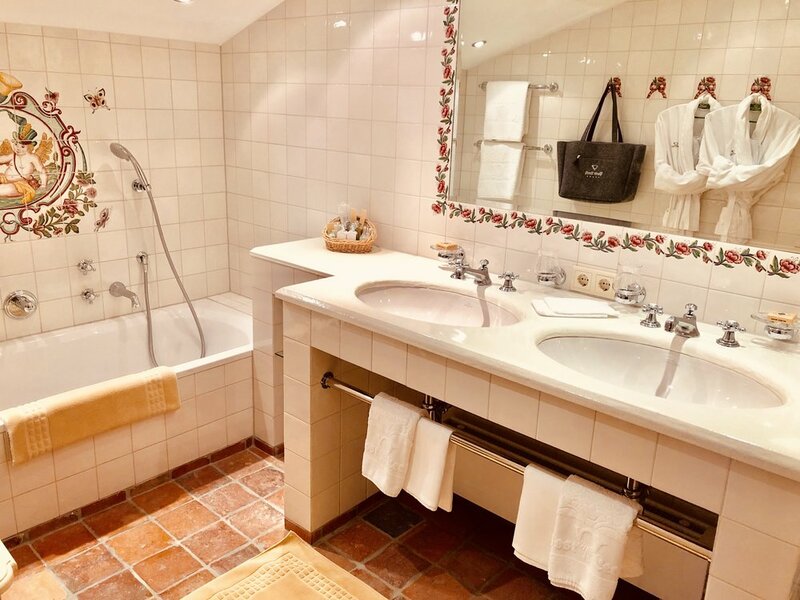 There was an entrée with lots of storage space for ski outfits, a separated toilet with bidet and washbasin on the left side followed by the main living room. I totally loved the amazing smell of pinewood matching perfectly the traditional Austrian furniture consisting of a dining corner, wooden sideboard with magazines and TV as well as a sofa (which can be prepared as an extra bed) in front of a tiled stove to fully embrace the ski resort feeling. Continuing our tour through the suite, there was a beautiful bedroom with lots of wardrobe space. The double bed was spacious and had a comfortable blanket with two pillows. Next to the beautiful bed- and living room there was the spacious and bright bathroom with double vanities, walk-in shower as well as bathtub and a make-up table. I totally loved the airy layout and the tiled floor that reminded me a bit like if I was at a holiday home in Tuscany. Towels were very comfortable and even though we never ran out of fresh towels, I would have appreciated if they would actually provide two bath towels per person (but understand that in today’s times we need to be more conscious on the green impact). On the other side, I was totally blown away by the vast selection of L’Occitane bath products. I remember that at every time of the day we had at least 200ml of bath gel and shampoo in the room. They also provided other toiletries including conditioner, body lotion, and sugar cubes. Housekeeping was extremely good with two services a day and they even replenished the used toiletries in the shower each time and folded all the clothes that were lying throughout the suite and put them on top of the bags or in the wardrobe – incredibly great! So while I would say that the wellness and spa was the main reason for our stay, after finding out that their gastronomic restaurant is one of the most upcoming ones in the country, I am not so sure about our main motive anymore. Well, let’s first discover the spa, I told myself. While we had troubles finding the right way to the pool at first, once we actually arrived at the adult’s spa area, we were both blown away. As mentioned before we have seen two other upscale hotels in the area, however, none of them had such a photogenic outdoor pool which of course was heated during the winter season. I mean I cannot imagine anything better than swimming in a hot pool while there is snow surrounding you and the sunsets in between two of the most wonderful mountains. So, of course, we lingered in the relaxation area before moving downstairs to inspect the other part of the newly built wellness and spa area. There was a panoramic sauna overlooking the cable car and gardens as well as a steam room next to the main relaxation room with wooden walls and water beds. Since time was too short, we did not have time to enjoy a treatment. Overall, the new spa area is definitely one of the most well done in the region and thanks to the local touches one of my favorite ones in Austria. A quick shower and a change of clothes later, we found ourselves in the bar area of the hotel where we were served one of the Post’s signature drinks: a Gin Fashioned. 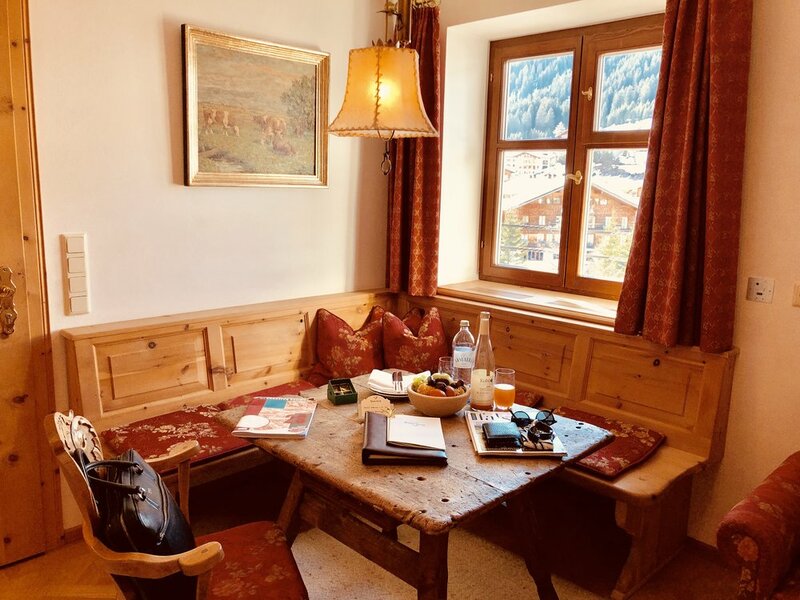 At this point I have to mention that the Hotel Post’s common areas are the busiest I have seen at the Arlberg – there are always people crossing the lobby, chilling in the lounge or having a drink at the bar before moving to the dinner. It’s a sign that the hotel does pretty well and I mean what’s better than a lively hotel lobby? As much as I love people watching, it was actually time to head to the newly done restaurant area. 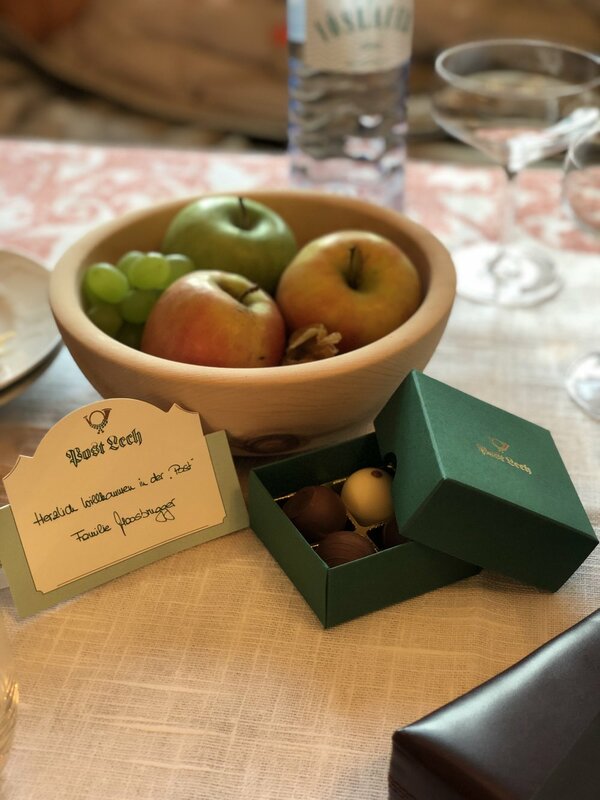 In order not to spoil too much info about the restaurants – you can read about them in a separate review by Lukas – I will go directly to the turndown service. Housekeeping provided one bottle of still water at arrival and to my surprise, they even brought a new bottle in order to provide drinking water for turndown service. Our second day was spent on the slopes of Lech and we liked it so much that we didn’t even move to Zürs or St Anton which would have been possible with the same ski pass. By the way, I found the price of 54 euros per day surprisingly affordable. I mean it is considered the biggest ski resort in Austria and you pay the same price as for a Swiss ski resort with maximum 10 lifts. Another big plus, the staff at Hotel Post in Lech can directly create the ski pass and distribute them to your room as well as adding the charge to the bill. That saves the time to queue up at the counters and you can therefore directly ski-out. Even though there is no slope leading directly to the hotel, we walked the minute to the ski lift put the ski on and were already on our way to the top. When we descended after a bottle of Riesling and an amazing lunch in one of Lech’s outrageous gastronomic outposts, we skied towards Hotel Arlberg put the ski off and crossed the bridge where we were directly in front of the ski room. 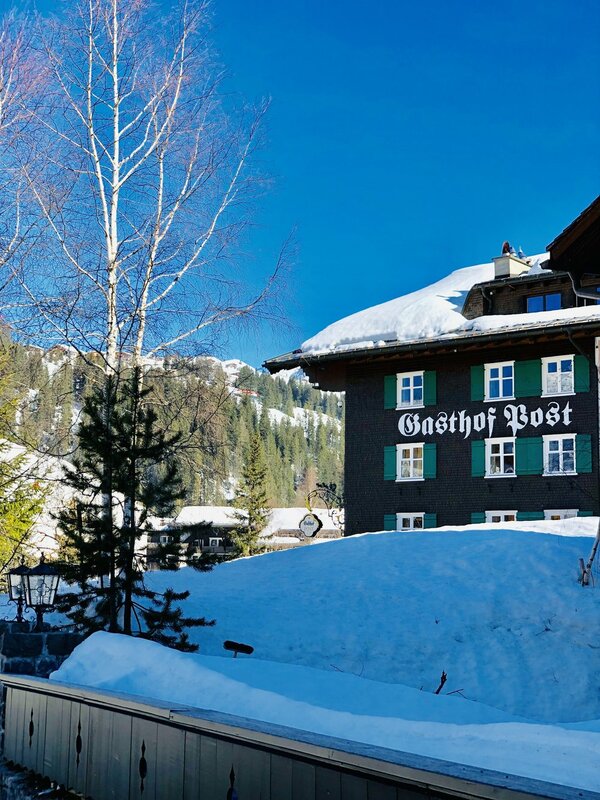 So whatever side you would like to ski, Hotel Post is just perfectly located. Our two breakfasts were not less spectacular with a vast ham selection, amazing cheeses and – typical for Austria of course – the best bread selection. As mentioning over and over again, I prefer breakfasts where they do 50/50 – meaning half buffet style half a la carte. So even though they had juice on the buffet, the staff didn’t mind to serve freshly squeezed orange juice, in addition to Eggs Benedict (there’s probably the only improvement needed), beef tartar, exotic fruit platter, Crepes with Nutella or freshly baked Pancakes. I have to admit that on Saturday staff seemed to look busy with all guests arriving at the same time (plus being fully occupied), however the service employees stayed super friendly and we were even arranged a window table – they cleaned the table immediately and our waiting time was just 10 seconds – well done on this one! Coffee and eggs arrived in perfect time as well so that was for sure the perfect start into the day. Now, it is already time to conclude that one-of-a-kind stay. With my absolute favorite all-time hotel being also located in Lech just on the other side of the river, I have to admit that Hotel Post did extremely well and kind of mixed up everything. Our expectations were already high but the staff really came up to these and the ratio of experienced staff members with new ones is extremely good - when you travel to a ski resort in Austria you seek for that charming old school service with a pure personal touch (especially Helmuth and the lady with the glasses from the Stube gave us that extremely homey feeling). Now when it comes to money, there is good news. 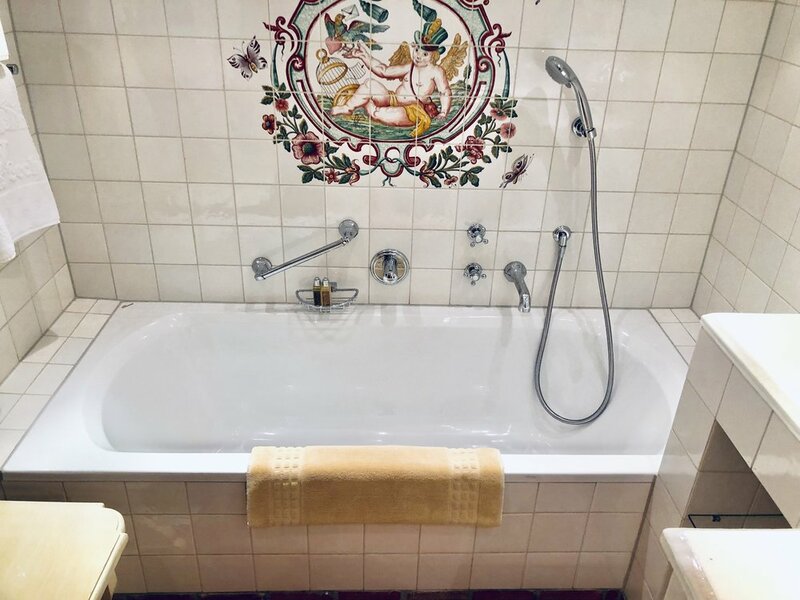 Compared to the expensive wannabes around town, the Hotel Post actually comes with family vibes, spacious rooms, amazing spa, high-quality food and if you consider the 600-800 euros per double room per night, it is a total steal. If you don’t share that point of view look onto Megeve, Courchevel or competing hotels on the Arlberg and you will soon realize the 1k mark can be reached easily. Disclaimer: During our weekend in Lech am Arlberg, we were guests of the Moosbrugger Family and stayed at Hotel Post Lech Arlberg for editorial purposes. Opinions are our own as usual and have not been influenced. Luxury Executive is a blog published by tourism experts and all reviews purely focus on the hotel and destination.